Funktown Pale Ale is a blend of our Vermont Ale strain and a unique wild strain of Saccharomyces that is well suited for primary fermentation. The combination of the citrus/peach esters from the Vermont Ale strain and the very light funk and pineapple/mango esters from the wild Saccharomyces produces a unique flavor and aroma profile that is fruit-forward. Amalgamation is the union of our six favorite Brettanomyces isolates from our microbe library. Each isolate produces a unique bouquet of bright and fruity flavors and aromas, and the combination of all of them into one blend results in the coalescence of these unique flavors and aromas into something truly special. Expect this blend to create a dry beer with a bright and complex fruit-forward flavor and aroma, accompanied by some funk on the palate. 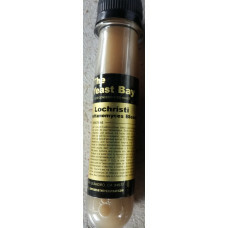 This blend combines Brettanomyces strains isolated from a unique beer produced in the Lochristi area in East Flanders. One strain provides a moderate funk and light fruitiness, while the other strain adds a more assertive fruitiness dominated by hints of strawberry. This blend also imparts a pleasant acidity over time that helps to balance out the profile of the finished beer. It can be slow to start up. If you dig using a diverse array of unique organisms to create balanced sour beers, this delightful medley of microbes is sure to please! Mélange is our most varied mix of fermentative organisms, intended for use in the production of sour beers in which a balance of funk and sourness is desired. This blend contains two Saccharomyces cerevisiae isolates, Saccharomyces fermentati, five Brettanomyces isolates, Lactobacillus brevis, Lactobacillus delbreuckii and Pediococcus damnosus. If you want acidity quickly, we recommend keeping the IBU low (0-5 IBU), starting with a fermentation temperature of 70-72 ºF for the first few days and then raising the temperature to 75-80 ºF to encourage development of sourness (Lactobacillus, Pediococcus). For a slower developing beer that exhibits a rounded balance of funk (Brettanomyces) and sourness we recommend ~5-10 IBU, mashing on the high end, fermenting at 68 ºF and holding at that temperature for an extended period of time. Approximately 29 bilion cells/vial.